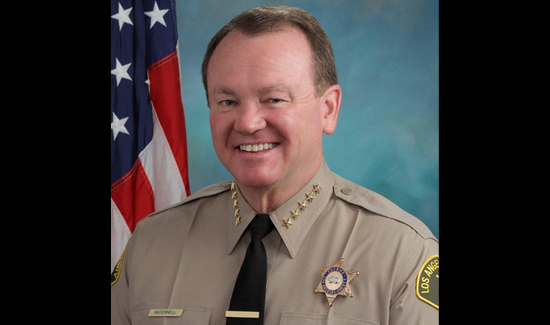 It was likely that more than a few eyebrows were raised when Jim McDonnell was sworn in this past December as L.A. County Sheriff. After all, the Boston-bred cop was the first outsider to lead the department in 100 years. Not that McDonnell was a complete unknown to L.A.’s tight-knit police community. In fact, he had spent most of his career as a member of the LAPD, most recently as the police chief of Long Beach for four years. But, according to a profile published by Metropolitan News-Enterprise, his rise to becoming the head of one of the country’s largest law enforcement agencies was by no means a smooth ascension, especially since he ran on the promise of bringing a new, fresh start for the department that was being torn apart by public distrust and an FBI investigation into its jails that led to the conviction of seven sheriff’s officials. So, how’d McDonnell do it? Click the link below for the full play-by-play.